Just like book publishing could be a daunting task, setting up a website, payment processing, protecting and delivering eBook online has it’s own challenges. But the rewards (of selling it through your own website) are too great to not power through the initial hurdles. Do not limit yourself to one platform. You could leverage both Amazon as well as your own website to maximize the opportunities presented by both platforms. In this post, I’ll go over the pros and cons of both approaches and also share my own experiences. 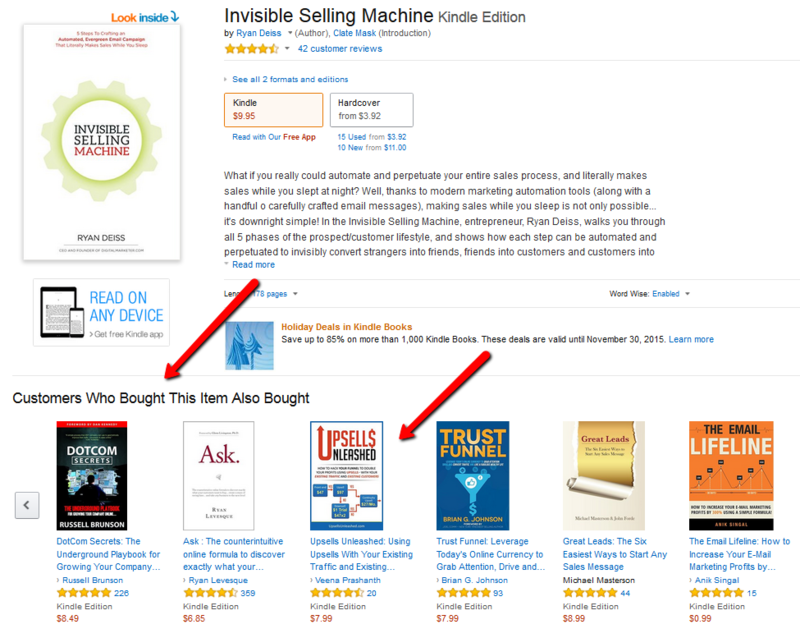 When I launched my first book – Upsells Unleashed, my only goal was to become an Amazon Best Seller. It was not about monetizing my book. Launched it only on Amazon Kindle. Priced it low - $0.99 to sell more copies. Sent an email to my list to notify them about the book launch. Amazon received an initial burst of traffic from my list that boosted my book's ranking. Good reviews, quality content, affordable price point combined with Amazon's worldwide reach and built in recommendation engine allowed the sales and ranking to climb on it's own without any marketing efforts. 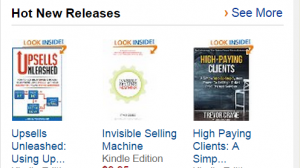 In a couple of days after launch, my book was an Amazon category best seller. Now it was time to focus on monetizing the book! There's no better way to monetize content than selling it through your own site. I spent about 2 weeks to set up my sales funnel, blog, membership site, automated emails, payment processing, affiliate program, content delivery etc. And it was well worth the effort. I could have setup a simple one page sales page if I just wanted to sell my book, but then I would have left a ton of money on the table. I would just be monetizing content, not maximizing revenue. I am using my book as a launchpad for upselling other products and services to the buyers. 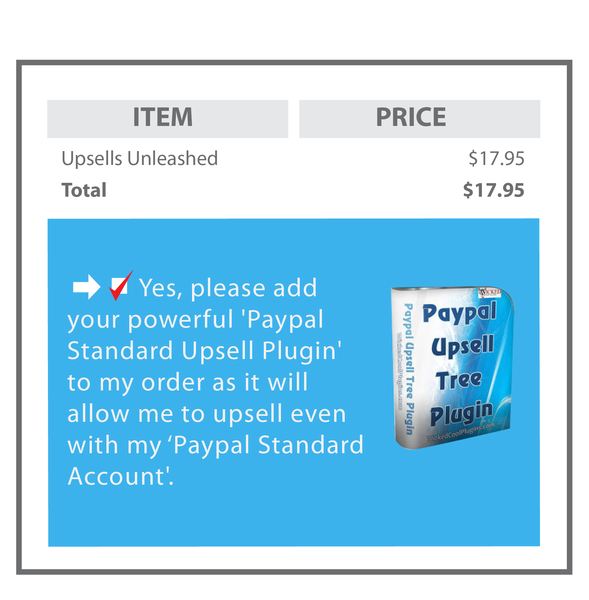 Upsells allow you to increase the average amount your customers spend each time they place an order on your site. Of course you need to give your customers a solid reason to spend more once they enter your sales funnel. If you offer relevant products/services at every stage of the funnel, and clearly outline how it enhances the value of the product they just purchased, you will be amazed at what upsells can do to your business. A low cost offer is one of the keys to get a lead to take the leap and become a customer. And once a lead converts to a customer, you can now use the power of upsells to gradually introduce other offers that adds additional value to their purchase. On my site, currently I am selling my book for just $4.99 to eliminate any price barrier. And I have also added upsells to get the most out of my funnel. 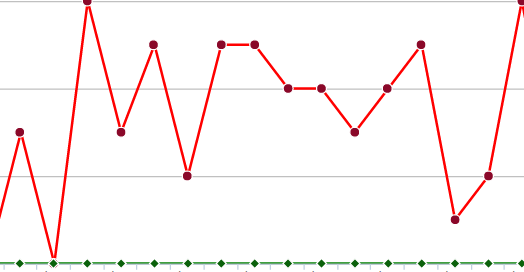 My book is converting at 35%, my upsell offer is currently converting at about 20%. As I start promoting this offer, add additional upsells, and bring in traffic from other channels like Facebook, JVZoo, Clickback etc, I expect the profits to skyrocket. I am leveraging my book in multiple ways to generate online income: as a front-end product, bonus, upsell offer etc. I’ve raised the price of the Kindle version of my book on Amazon as I want to encourage the buyers to buy it on my site. I am offering special bonuses—an audio version of one of the best chapters from my book, book launch email templates, etc. This offer is only available to those that purchase the book on my site. I am offering a generous (50%) sales commission on my book. The buyers receive an affiliate link that they can use to promote my book; they receive a 50% commission for every referral that results in a sale of my book. But that's not it. Soon I will be offering commissions on all the products that I upsell in the funnel. So ultimately they will also receive commissions on the upsell offers. And the commission amount on the upsell offers will be a lot higher because the cost of the products / services that I am upselling is much higher than the cost of the book. See how selling a book on your own site opens up a world of possibilities and new opportunities for you and your customers? It's important to understand the pros and cons of both approaches to make better informed decisions. One thing that all online marketers cover most - is an email list of quality prospects! Your email list is one of your most valuable assets. Amazon: Buyer emails are kept private in Amazon. You will not know who purchased your book. Your Site: You have full control over the sales process. You can offer free content to get the prospects to sign up even if they do not go through with the purchase process. The fact that they visited your site shows they are interested. If they didn't go through with the purchase, maybe they are not ready to commit yet. They are still doing their research. By capturing contact info, you can continue to nurture the leads and solidify your relationship with them by continuing to communicate with them and offering valuable free content. Please NOTE: Even though Amazon does not reveal the buyer info, one way to get around this issue is by adding multiple calls to action (CTA) in different sections of your eBook. Use the CTA to encourage users to share, review and most importantly, email you the Amazon purchase receipt to avail free bonuses. If your bonuses are truly irresistible , there's a high chance that the readers will email you their purchase receipt and give you the permission to contact them. => Free digital version of your book to those that purchased the print version. Use Wordpress and a Membership software to deliver content through your own website. => Free Audio version of your book as a bonus to those that purchase the Kindle or Print version. Out of every 10 buyers, maybe 5 will notice the CTA and invest the time to forward you the purchase receipt or signup for the freebie on your site. Amazon's Look Inside Feature: I added a “My Gift to You” section towards the top of my book to make the readers aware of the bonuses and how the bonuses can be availed. They can preview the bonuses through Amazon’s Look Inside feature. That helps entice the readers into buying. The buyers simply email their purchase receipt to me, and I use their email addresses to hook them up with the bonuses. Amazon: You do not have control over the sales process. The purchase occurs on the Amazon site. You cannot make an upsell offer on Amazon. Your Site: You have full control over the sales process. You can setup a powerful sales funnel on your site that leads the buyers through a series of offers (each delivering incremental value), and allows you to maximize the average order size per customer. Amazon's built-in recommendation system (frequently bought, also bought etc) does help boost sales but it's effective only if your book is already selling well. When Amazon notices that your book is selling well, it will display your book higher in the search results. Your book will start appearing in the frequently bought and also bought listings. Amazon: You will have access to Amazon's limited metrics to monitor your sales. Your Website: In addition to greater control over sales process, you will have access to the buyer info. You can offer related products or services to these buyers to maximize the number of transactions per customer. You can track metrics, figure out which campaign is producing the best results in terms of traffic and conversion, interact and engage with the readers, survey the readers and use that data to improve your book, add targeted messaging, split test different offers to optimize your funnel etc. You just have to be prepared to put in a little bit of upfront work to setup everything on your site and not shy away from the technical challenges. Just hire the right people for the job. Your book is an incredible asset. The possibilities and opportunities are limitless when you sell your book through your site. Amazon: If your eBook is priced between $2.99- $9.99, you will earn 70% in royalties from Amazon. Otherwise it's only 35% in royalties. 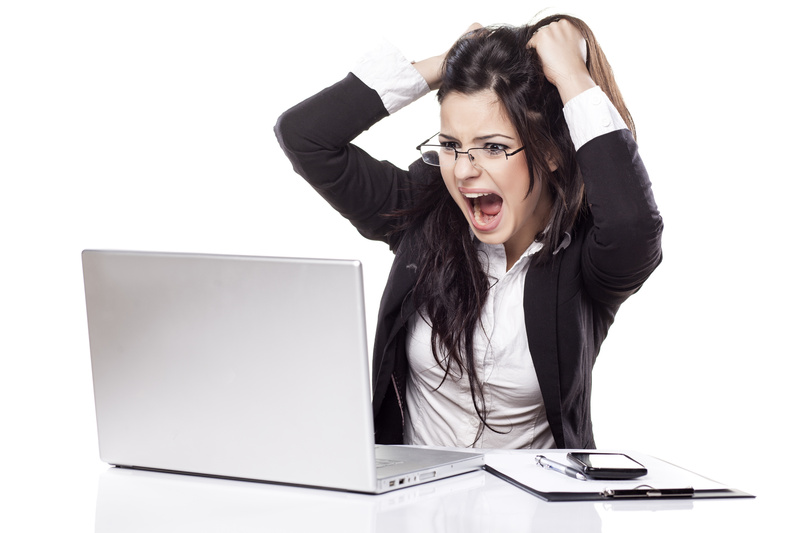 Your Website: You have full control over the price. You could test different price points to figure out what converts best. You could sell it at a higher price on your site's home page but offer it at a lower price (upsell) in your sales funnel. If you sell on Amazon, you’re also competing with hundreds of eBooks that are priced much lower in your own niche. It's much easier to sell eBooks in the $0.99 - $2.99 price range. If the price goes up, sales will drop, and as the sales drop, Amazon's recommendation engine and reach won't help much. If you sell it on your site, you will have a lot more opportunity to raise the perceived value of the book by educating your readers on the benefits. 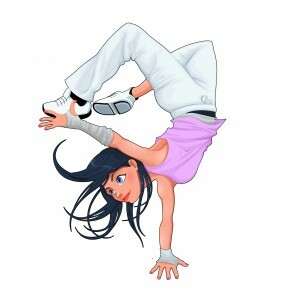 You will have full control over the branding, sales page content and layout. You could offer generous affiliate commissions for referrals and sales. Yes, if you sell it on your site, you do have to take into account the expenses involved in webhosting, tools & plugins, payment processing fees etc. You might have to hire a developer to help setup everything on your site. But even with all these expenses, the profit margin and long term benefits are way more compared to the profits from Amazon. Amazon: An Amazon "Best-Selling Author" credential can do wonders for your resume. It's like earning a certificate that makes the job interviewer view your credentials differently. Do your happy dance once you make it to the Amazon's 'Hot New Releases' or 'Best Selling' category. It's an incredible accomplishment! It'll allow you to cement your place as an expert in your niche/topic. Take a screenshot of your best selling status on Amazon. Be sure to showcase this on your website, social media etc. But if you are serious about monetizing your eBook, it's time to move on from Amazon and focus on selling it through other channels - primarily through your website. It's time to unleash your book's full potential as a passive income generating machine by launching it through your own website. If you do it right, it can do wonders for your online income. Continue to offer it through Amazon because some readers might not want to purchase it through your site for security or other reasons. The good thing about continuing to offer it through Amazon is that it will help increase the perceived value of your book. Offer it at a much higher price on Amazon. Yes, as soon as you do that, your Amazon ranking and Amazon sales will drop drastically but do you care at this point? You already got the 'best seller screenshot', remember? Make it clear on your site that the book can be purchased directly on Amazon but it will cost more to do so, and it will be minus the bonuses. Leave the decision to the buyer. Yes, Amazon helps you build credibility as an author. The best selling author credential carries a lot of weight and helps you position yourself in your industry as an expert. So Amazon wins the 'Build Credibility' category with a caveat. While you need Amazon to build credibility and authority initially for your first book, once you have done that, you can create hundreds of eBooks, and sell it directly on your website to maximize revenue. You no longer have to worry about the Amazon ranking. You have already been there and done that at this point. Amazon: Do your research, figure out the topic/title that you are going to write about, and then just write the content. Once your content is ready, you can hire someone to edit, format and convert the book for Kindle launch. You will find resources on Fiverr.com, upwork.com, 99designs.com who can do this for you at low cost. A lot of authors shy away from website launch because of the technical challenges it presents, in addition to ongoing maintenance and customer support commitment. If you can power through these initial hurdles, the rewards are great! And there are techies like me to help you with any technical hurdles. You don't have to figure it out on your own. My recommendation is to put together a simple WordPress based website initially just so the readers can find you. Offer a freebie in exchange for their email address. Start the process of building your list. And stay in touch with the prospects by continuing to offer valuable content via your blog, forum, social media or through emails. You don't have to start selling through your site initially. Focus on the Amazon launch. If you have promised free bonuses, be sure to deliver on the promise. After you meet your Amazon launch goals, you can then focus on building a full fledged sales funnel on your website and give your book a permanent home. How do you get the word out about your book? How do you generate traffic to your site? Amazon: One of the great things about Amazon is it's organic traffic and worldwide reach. Leverage Amazon's built-in traffic and get your book in front of millions of potential buyers. 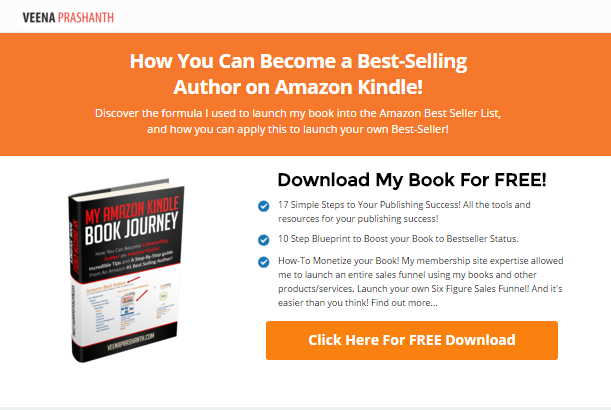 You can launch your book on Amazon first, then use the Call to Action (CTA) to get the users to your site where they can signup for free bonuses. This will allow you to start growing your list. You can also use Amazon's KDP Select program (you will find all the details in my FREE eBook), and leverage the '5 free promotional days' to offer your book for FREE. It will help you with list building. Your Website: If you can't generate traffic to your website, no matter how great your book is, you are not going to have any buyers. That's why an email list is so valuable to online marketers. Building a list is no small task. It's not going to happen overnight. You will have to persevere and not give up no matter how frustrating it gets at times. I have been there and know how it feels when you find buyers spending thousands of dollars on crappy products just because it's from well known marketers (even though they move on to the next shiny thing the moment they are done with the launch), but hesitate to spend on real stuff that can positively impact their businesses. Just remind yourself - it's not their fault. It's our job to educate them and turn them into fans and followers. And that's not an overnight process. That's why lead nurturing is such a crucial part of any online business. Create quality content and do not hesitate to give it away for free. Create a blog, offer valuable advise and content, interact with the users and work on building a community. Your business will go no where without a quality list of subscribers who believe in you. Setup your website but do not sell it through your site yet. Start the process of list building by offering free content. Do this before you start writing your book. Launch your book on Amazon at a price point between $0.99 - $2.99 initially. Try to get quality reviews. You will find a lot more on this subject in my FREE eBook. Send an initial burst of traffic from your list (it does not matter how big or small it is) to Amazon. Use social media to send traffic to Amazon as well. Keep the price low until you can reach the Amazon Best Selling rank. Don't worry about being #1 in all of Kindle sales. There are millions and millions of Kindle books vying for that spot. If you can do that - no need to read this post any further :). But if you are like me, make sure to list your book in the right Amazon Category (read more about this in my FREE eBook), and aim to get to #1 in your category. That goal is certainly achievable if your content is remarkable and you can do some or all of the things I mentioned above. Now set up your website fully. Add a full fledged sales funnel to maximize your profits. Upsell your book on your website at a lower price compared to Amazon, and in fact use this as a selling point on your website. 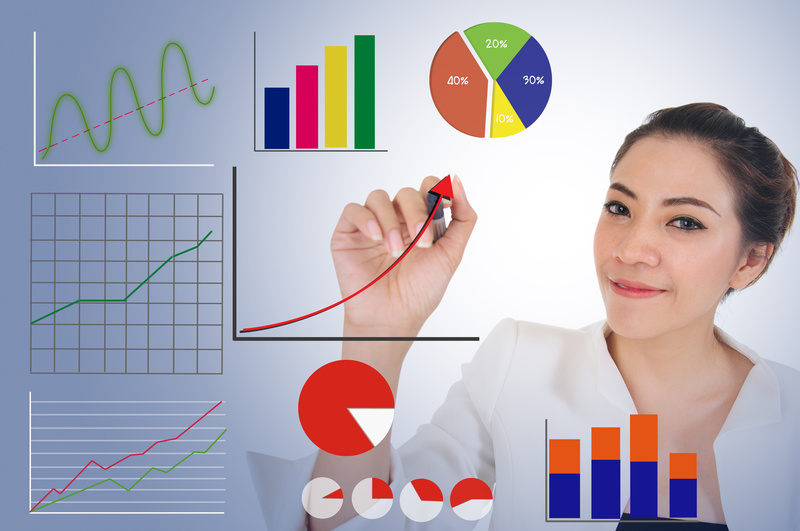 Monitor the metrics, continue to refine and optimize for better results. If you have already launched your book on Amazon and are an accomplished author, there's no better place to monetize content and maximize profits than your own website! As I mentioned before, do not limit yourself to just one platform but it's good to focus on one thing at a time. Leverage both Amazon as well as your own website to maximize the opportunities presented by both platforms. 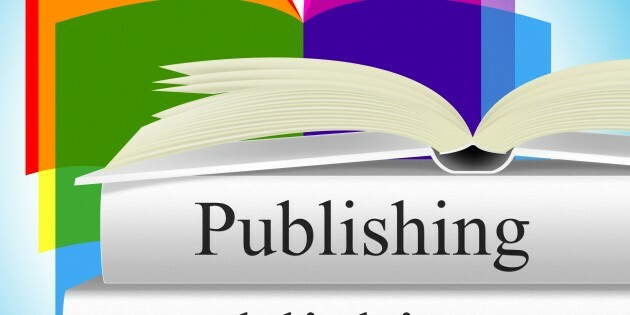 I hope my experiences will help you in your book publishing journey. Please leave me a comment below to share your thoughts. Also feel free to share this post with your friends and followers so they can benefit from my experiences as well. I look forward to your feedback :).